Rev up your metabolism to help slim down your waistline. Here’s why – a healthy metabolism helps you convert what you eat and drink more efficiently. 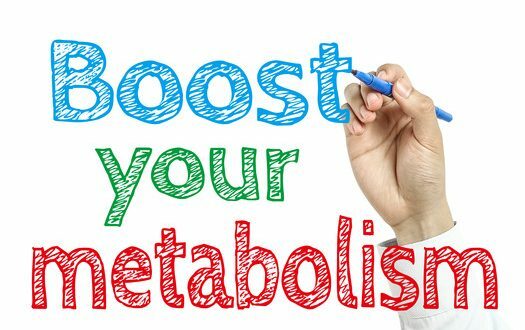 Boost your metabolism to burn more calories – even when you’re at rest. Here’s how. Muscle is more compact than fat so you’ll look leaner. Even better, you’ll burn more calories throughout the day. According to WebMD, increasing your muscle mass will boost your resting metabolism, and that will make your body burn more calories. Ask staff at your fitness center for tips on getting started with a weight training program that’s right for you, so you’ll get results without injuries. 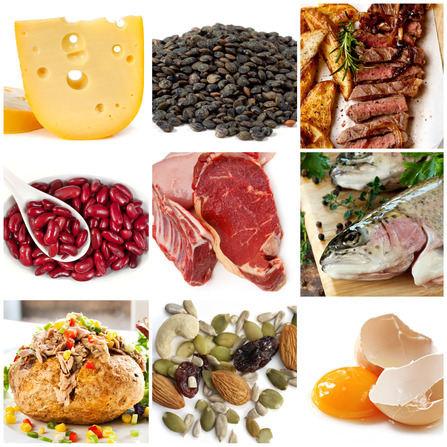 Protein feeds lean muscle, promotes satiety and boosts calorie burn. Include some with meals and snacks to reduce overindulgence and speed up metabolism. Protein is an especially good choice for breakfast. 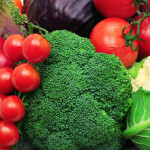 Choose eggs with a slice of tomato or a few leaves of spinach instead of doughnuts or bagels. 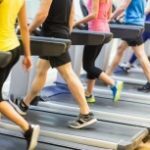 High intensity interval training or HIIT burns more calories than steady state exercise. What’s more it revs up your metabolism so you burn calories better for hours after your sweat session. To do HIIT, just kick it up a notch. Alternate periods of vigorous exercise (think 8 or above on an intensity scale of 1 to 10) with rest or more moderate exercise. An example would be to alternate sprinting with walking. Experiment with interval length depending on your schedule and fitness level. Skip trans fats because, although they are tasty, trans fats slow metabolism (these are usually found in snacks and sweet treats). Opt instead for metabolism regulating foods like those containing omega 3’s, protein, fiber and whole grains. These foods work to reduce inflammation, stabilize blood sugar and help you feel full longer. Choose organic when you can. Some pesticides can force your thyroid to work harder, which can also slow metabolism. Lastly, eat enough. 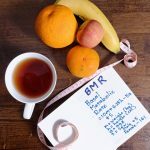 Severe calorie restriction does more to impede weight loss than it does to encourage it. Get a good night’s sleep to boost metabolism. Turn off technology at least an hour before bedtime. Keep your room cool and dark for better sleep quality. Getting to bed early helps you boost metabolism in another way – you will be more likely to get up to get some sunshine and exercise. A 7:00 am workout is a perfect way to get your metabolism going. Plus, you’ll have energy to move more all day – yet another way to stoke the burn. Take the stairs, walk to lunch and stand when you take calls to improve your metabolism throughout the day. Burn calories more efficiently by boosting your metabolism. These tips make it easy to start building more burn today. 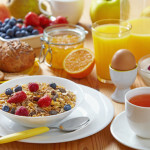 Do You Have a Breakfast Routine? You Should!